The U.S. Postal Service’s security program is. designed to reduce the incidence of crime against employees, the mail, and other assets, as well as maintain the integrity of the Postal Service .. The Postal Service faces a variety of security challenges and threats that it must take seriously. entering the. mailstream and a workplace violence program to mitigate violence. We also analyzed data related to workplace violence; suspicious and potentially dangerous mail; and Voice. of the Employee survey results covering fiscal year 2012, Quarter 3, to fiscal year 2013, Quarter 2.
workplace violence program to mitigate violence. For example, the Capital District had an avera~ anonymous mail testing failure rate of [ REDACTED ] percent. workplace violence prevention requiirements to effectively mitigate violence in the workplace. The greatest opportunity to limit inappropriate use of the mail is during the earliest point in the Postal Service’s distribution system. 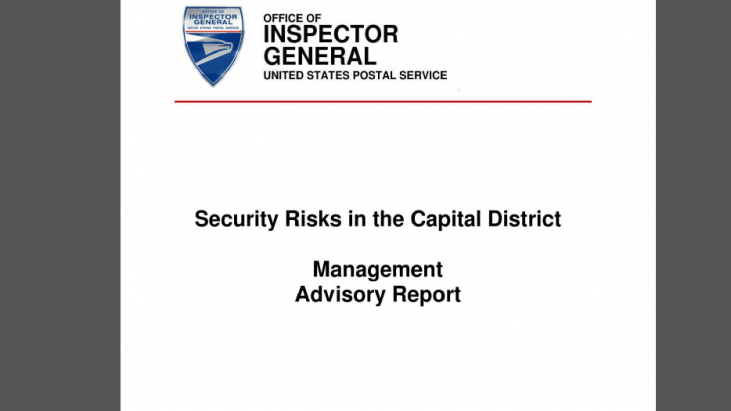 Potentially dangerous mail or an act of wo1rkplace violence could put employees, mail, assets, and the public at risk and negatively impact the Postal Service’s brand. Enforcement of good security practices is essential to an efficient and economical operation.